To many, planning ahead defies the entire point of Instagram – posts are, after all, supposed to be shared in ‘real time’. However, the chances are that when you come across a beautifully curated feed with perfect hues of pastels or beach blues, it’s been prepared ahead of time. In fact, one of the best tips I’ve read when it comes to upping your Instagram game is to never post on the go, as doing so often means we compromise on quality. 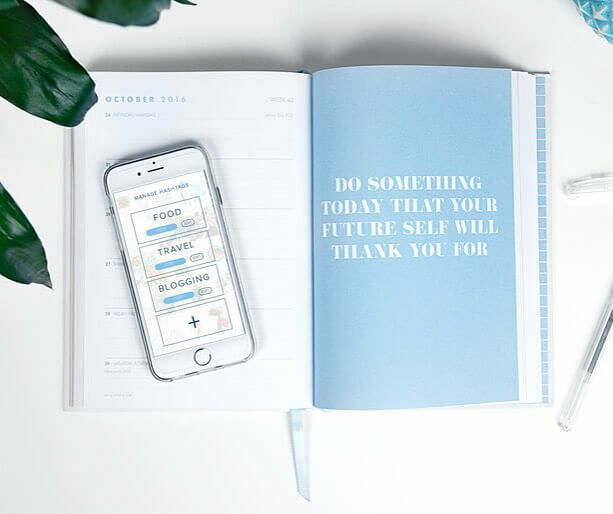 How: Ever since meeting the lovely founder in a cafe in Bondi and agreeing to model for a how-to video she was shooting, I’ve been a big fan of Instagram planning app Plann. With a drag and drop feature, space to save your favourite hashtags, a new editing tool and regular blogs offering Instagram insights and inspiration, it’s my go-to for a beautifully curated feed. Another way to up your Instagram game is by utilising hashtags specific to each post. You can use up to thirty hashtags per post, and doing so is a free and easy way to reach your target audience. However, while quantity is important, so too is quality, and to ensure you’re reaching like-minded people with similar interests, take time to carefully select the right hashtags for your account. Perhaps most important of all is to ensure that every hashtag you use is specific to the image your posting. How: While many users opt to use the most commonly used hashtags, their popularity means your photo will only be at the top of the feed for a split second, if that. Rather than choosing a hashtag with countless entries, try finding ones with less than 100,000 posts in order to target a more niche and bespoke audience. 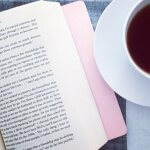 As a book blogger, much of my content is made up of bookish images. However, rather than using the tags #bookstagram (+14 mil posts), books (+24 mil posts) and #bookshelf (+1.5 mil posts) I might opt for #booksofig (- 60k posts), #bookslove ( – 45k posts) and #bookselfie ( + 50k posts). If you need some hashtag inspiration, check out the app Hashtagger which will bring up hashtags relevant to your post. It’s all too easy to upload an image that you’re not entirely happy with to Instagram, on the premise that it will do. However, if you really want to up your Instagram game, quality is key. There’s no point in investing both time and energy on hashtag selection and engaging with potential followers if your feed isn’t going to stand up to scratch. How: Always try and take photos in natural light, find an editing tool you like (I use VSCO) and really finesse and polish your skills. If you’re not confident in a photo’s quality, use it for Facebook or Twitter instead. 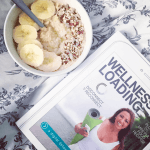 While some online influencers manage to mix and match their feed to their heart’s content, it takes a really creative eye to be able to do so while curating a cohesive Instagram page. Instead, chose a colour theme and stick to it. 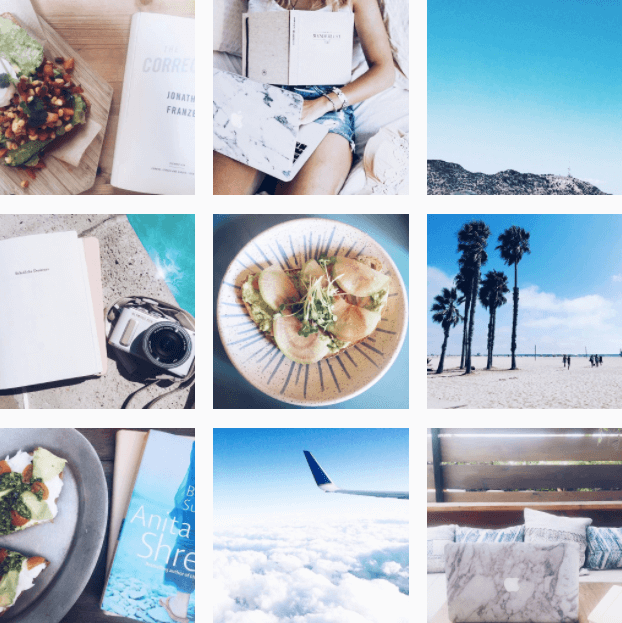 Whether earthy browns and autumnal hues, stylish blacks and whites or a summer vibe of sandy shades and sea blues, the most aesthetically pleasing feeds are those that stick to a colour scheme. How: Decide on what colours best suit your brand and plan posts around them. For me, my feed is made up of blues, greens and pinks; so if I book cover I’m posting about doesn’t match my Instagram vibe, it either doesn’t make the cut or I simply photograph it open instead. One of the most straightforward ways to build your brand on Instagram is to engage with your tribe. From seeking out like minded accounts to follow and engage with to responding to comments on your own posts, engaging with your community is key when it comes to growing it. Instagram’s latest update has made it even easier for you to create a rapport with your followers by adding a like and reply button to every comment. How: To hunt out new accounts to follow and engage with, a simple method I like to use when I have a few spare minutes is to pick a hashtag I frequently use, look at the feed of these hashtags and spend time liking and commenting on other people’s photos. When it comes to engagement on your own posts, be sure to respond with a thoughtful reply if appropriate; in most cases, if you reply to someone, they’re more likely to comment again next time. Love this post? Click here to subscribe, and don’t forget to follow me on Instagram here.